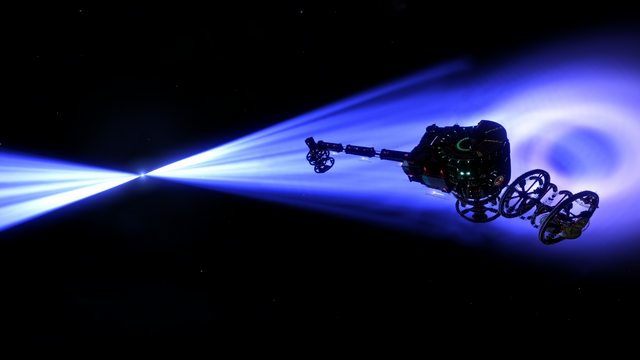 This system was visited for the first time on EDSM by danm. 2704 ships passed through HR 6164 space, including 2 ships in the last 7 days. 0 ship passed through HR 6164 space in the last 24 hours. At only 1400 light-years from Sol, HR 6164 is a popular destination for tourists. 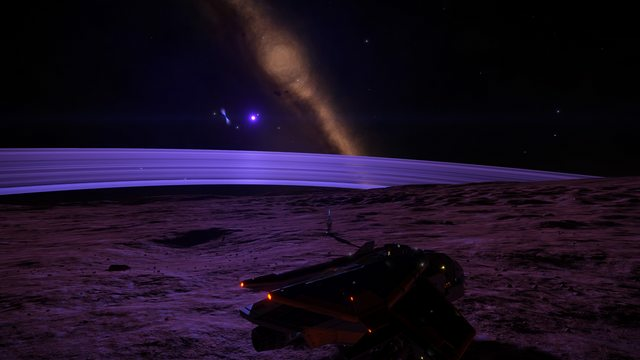 The bright O-class star, a neutron star, and two black holes are easily visible from the first planet; along with a excellent view of the planet's rings. The location has simply been labeled 'The View', and a beacon has been established here by Universal Cartographics. Additionally a tourist installation has been installed just outside the jet-cone of the neutron star and provides breathtaking views of this phenomena. Pilots should be aware of the dangers in visiting. The planet's gravity is 3.30g which may be a surprise for novices. The tourist installation is located extremely close to the neutron star jet-cone; falling into this cone in normal space will cause extreme damage to your vessel. Approach should be made with great caution.